Grammy-award winning artist Lorde has canceled a scheduled concert in Tel Aviv following activists’ calls for her to join the growing boycott, divestment and sanctions (BDS) movement targeting Israel. Lorde has canceled her June 2018 performance in Tel Aviv, Israel, less than a week after its announcement. Her decision comes in the wake of pressure from supporters of the Boycott, Divestment, and Sanctions movement. Lorde reportedly issued a statement, saying, “i pride myself on being an informed young citizen, and i have done a lot of reading and sought a lot of opinions before deciding to book a show in tel aviv, but i’m not proud to admit i didn’t make the right call on this one” (via The Hollywood Reporter). See her full statement below. Last week, Lorde tweeted that she was “considering all options” regarding the concert, in response to an article in New Zealand’s The Spinoff urging her to “join the artistic boycott of Israel.” She’s not the first artist to receive blowback for planning concerts in Israel. Nick Cave and Radiohead both spoke out about their decisions to perform there. 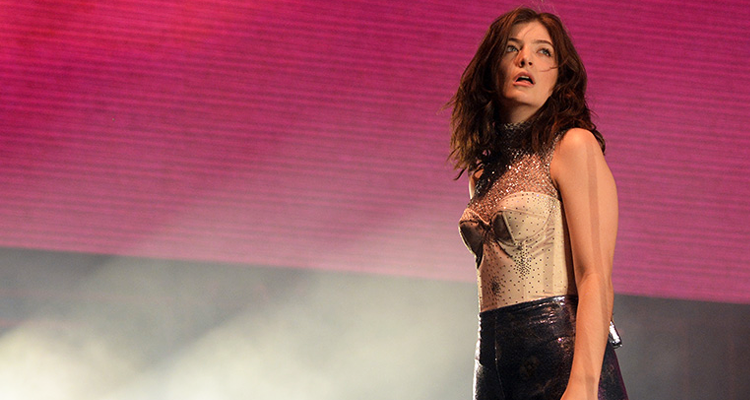 Fellow New Zealanders, Jewish activist Justine Sachs and Palestinian activist Nadia Abu-Shanab, penned an open letter last week calling for Lorde to cancel her show. The letter mentioned US President Donald Trump’s recent decision to recognize Jerusalem as the capital of Israel and labeled the Israeli government’s policies “occupation and apartheid” against the Palestinian people.